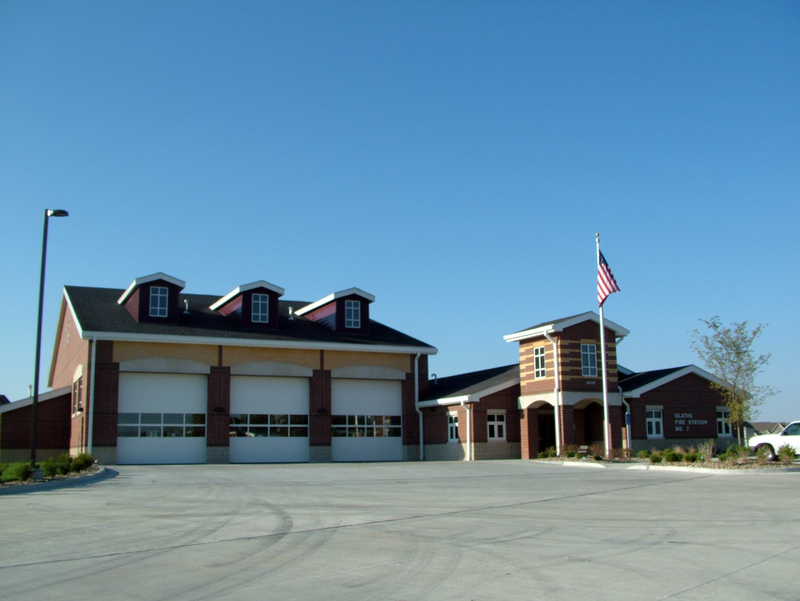 SEA provided structural design for this new $2.2 million fire station in Olathe, Kansas. This design-build project will hold three truck apparatus bays. The station was designed to fit in a residential area, so it will have masonry exterior walls and wood-framed living quarters. The truck bays will be constructed with light gage steel. The building was designed to withstand tornado force winds, using the guidelines from FEMA Document 361: Design and Construction Guidance for Community Shelters. This document provides information on how to design for different wind strengths and what kinds of projectiles can be resisted by the facility.